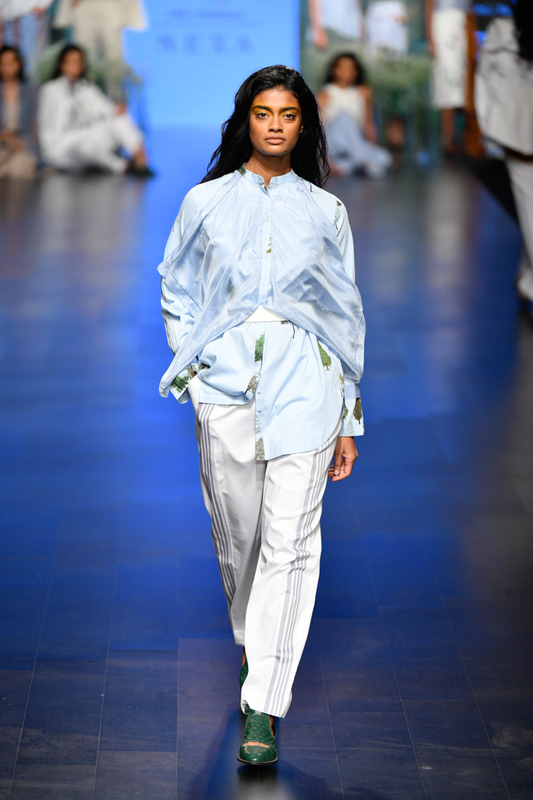 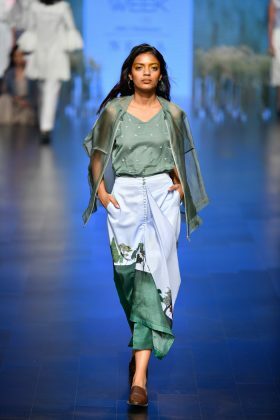 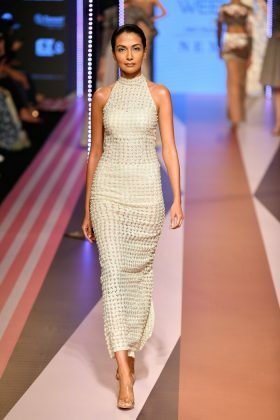 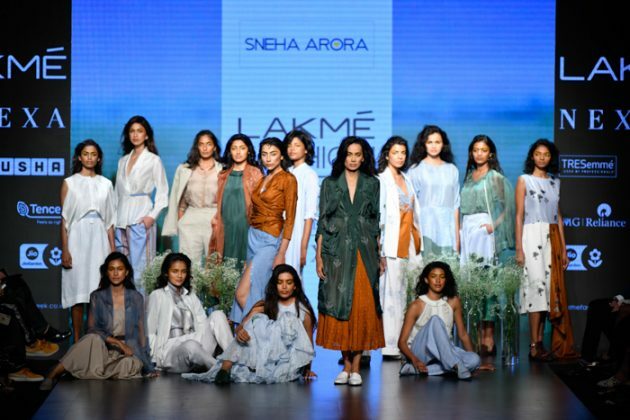 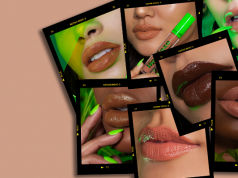 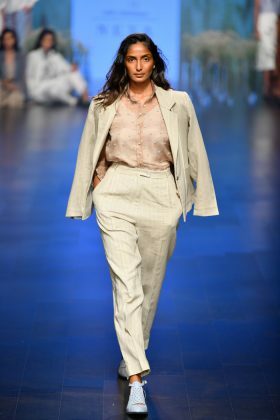 Everyone’s eyes are on Lakme Fashion Week Summer/Resort 2019 show which started with a bang. 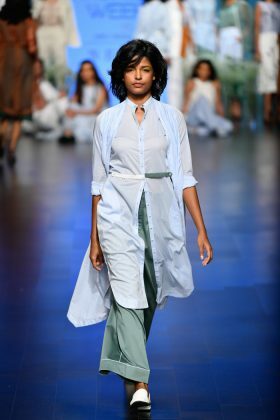 When the entire country is talking about being organic and choosing sustainable thing our designers are also taking their steps forward by choosing sustainability practices for their collections.  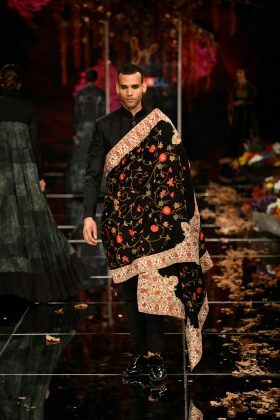 The Textile Ministry ruminates about “fashioning weaves”, this season, our Indian designers have promised to take Indian Heritage and domestic designs of the country forward by giving a new vision of these designs. 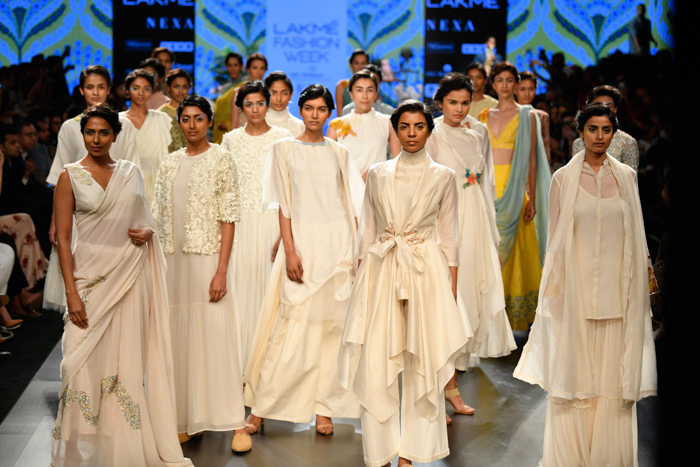 here are we with day 1 highlights which you surely can’t miss being a fashion lover. 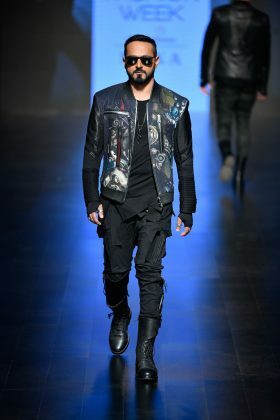 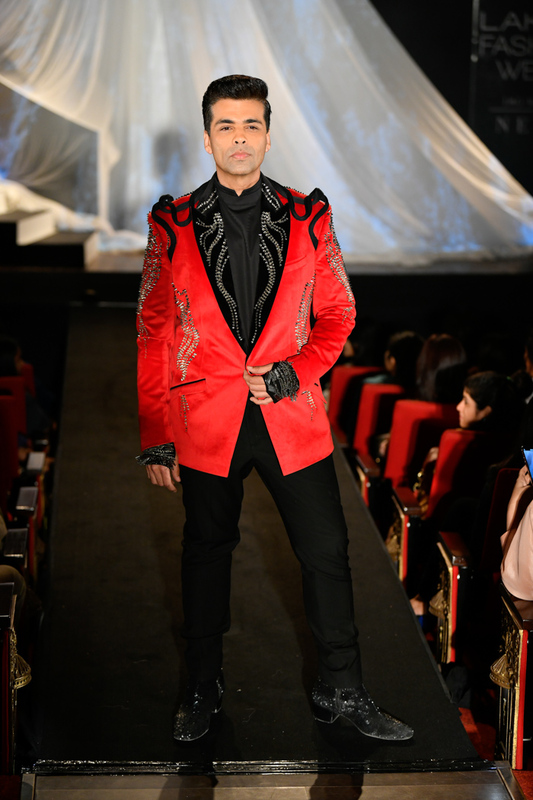 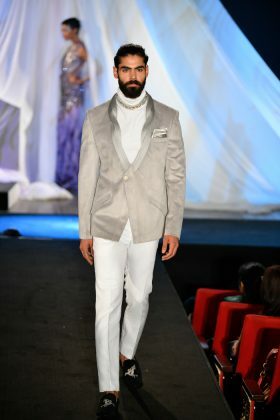 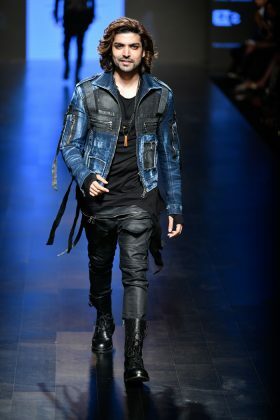 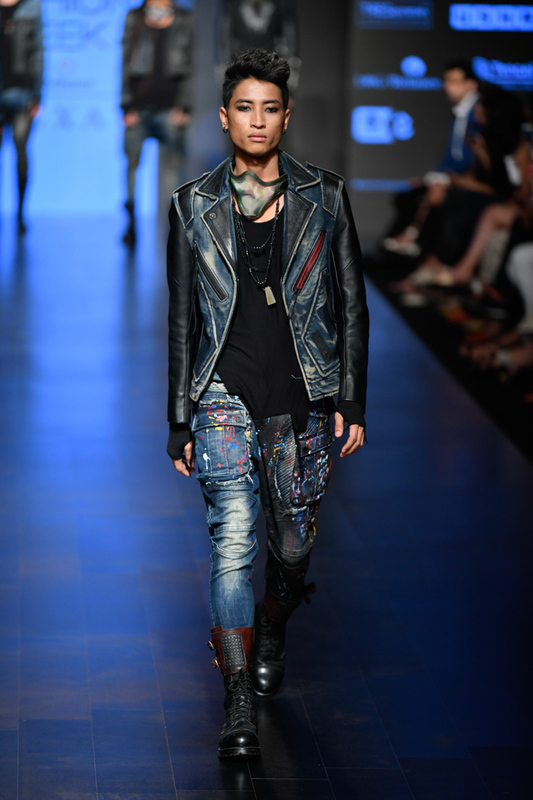 This year Gaurav Gupta opened the show at the Lakmé Fashion Week and collection was titled ‘The (Un)folding’. 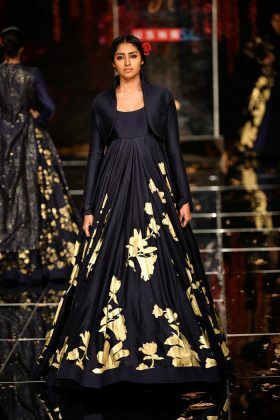 The designer roped in Karan Johar and actor Tabu as showstoppers. 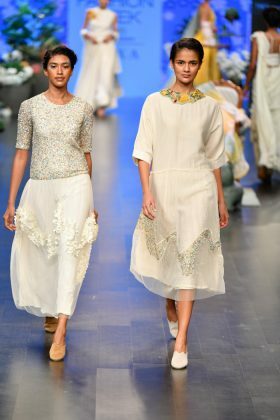 This time the designer was working on a collection that infuses traditional techniques like Chikankari with the brand’s signatures like sculpted draping and structured fluidity. Gen Next show was featuring debut collections by Ek Katha, Birdwalk, Sunaina Khera and Ujjwala Bhadu. 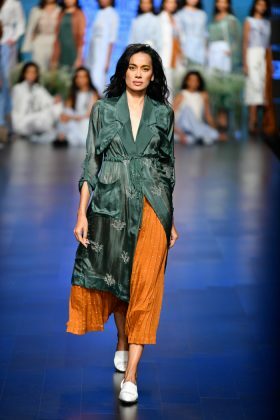 The designer, who has a label ‘Ek Katha‘, showcased a line called ‘Bliss’. 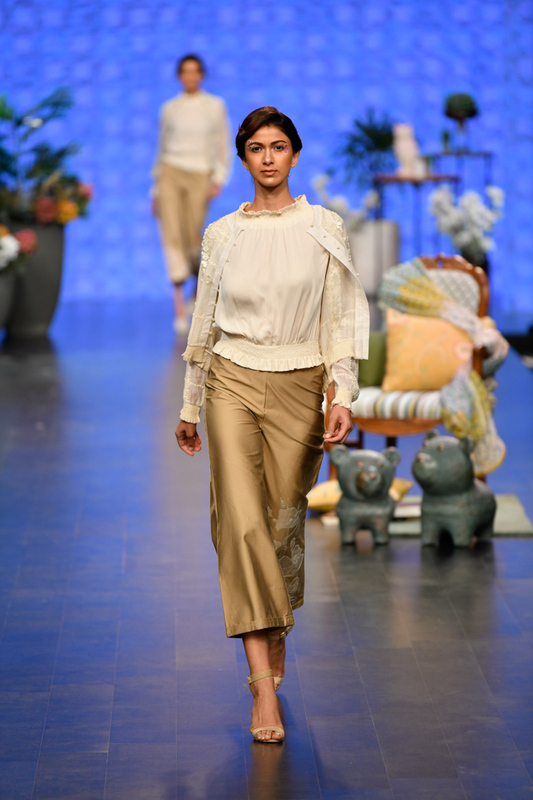 Her ensembles were a serene mix of natural, beige, raw white, all embellished with organic prints. 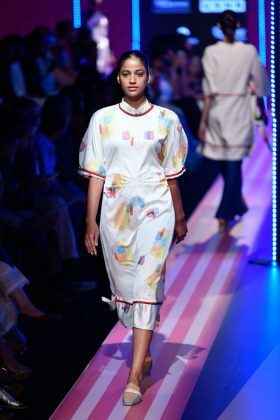 Amrapali’s ‘Queen of Hearts’ collection under her label Birdwalk was all about simple, comfort and playful appeal inspired by the pack of cards. 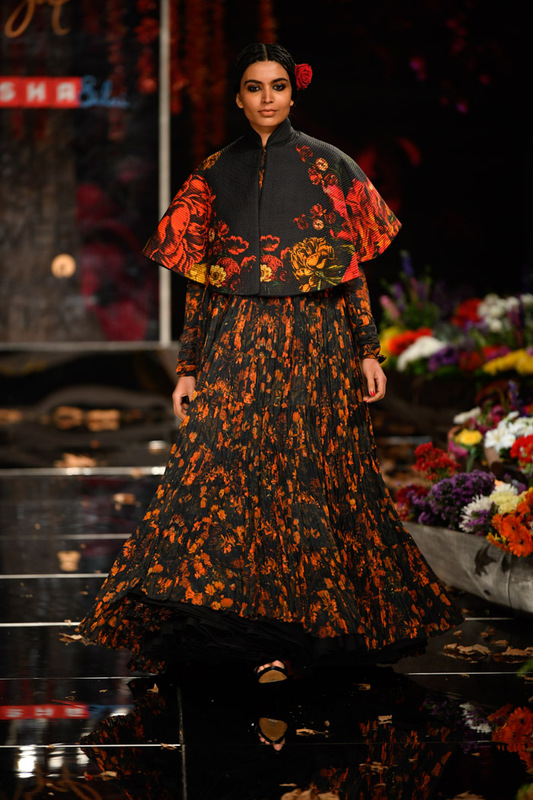 Sunaina, her collection called ‘A Long Way Home’ was an expression of grief. 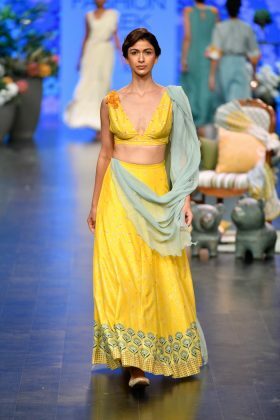 Ujjwala, her collection in vibrant hues was a fusion of cultures and crafts with textiles which were merged with colour and silhouettes. Creating a sense of individual style and identity; the collection “Breathe”, took its inspiration from making pause and space in the monotony of life. 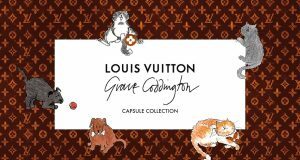 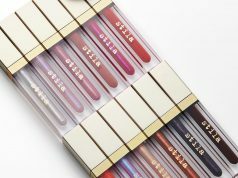 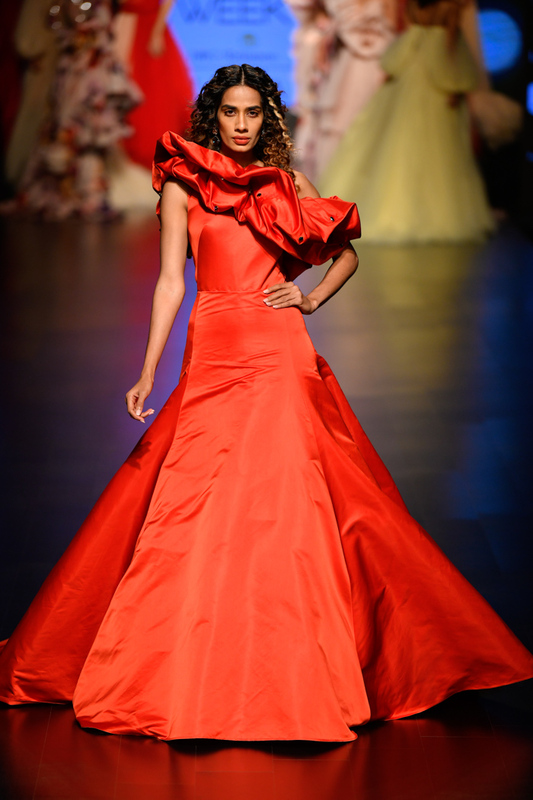 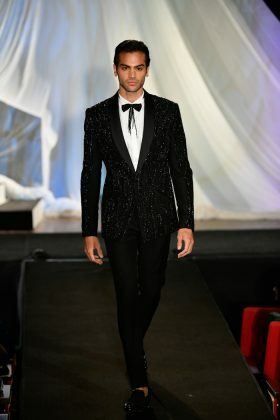 With a treasure trove of designs, the designer made sure to showcase the perfect combination of style, elegance, energy, enthusiasm, and glamour. 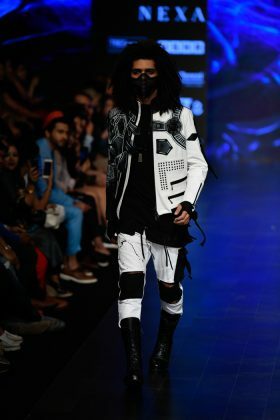 Asa Kazingmei show is always an exciting event filled with extreme energy since the designer brings in a lot of excitement on the ramp. 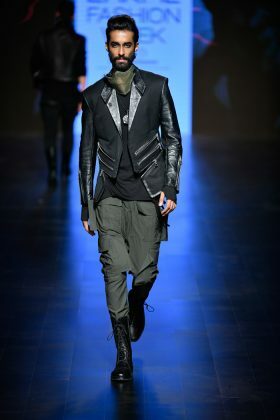 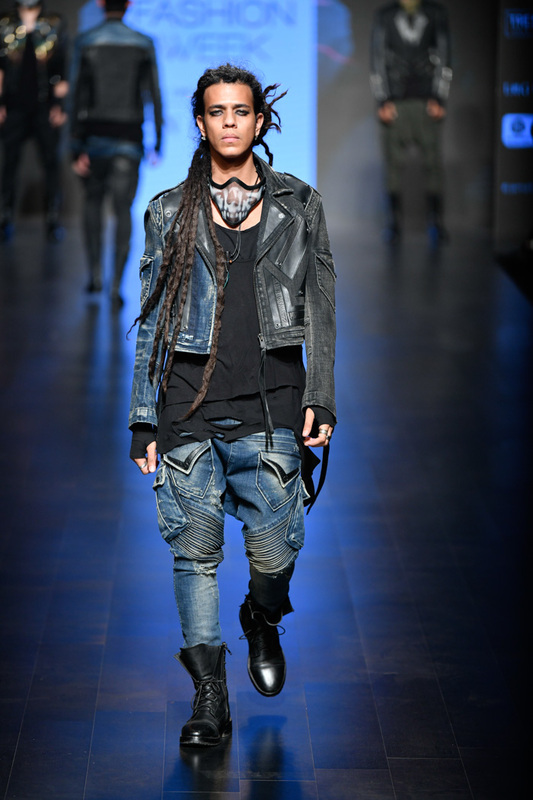 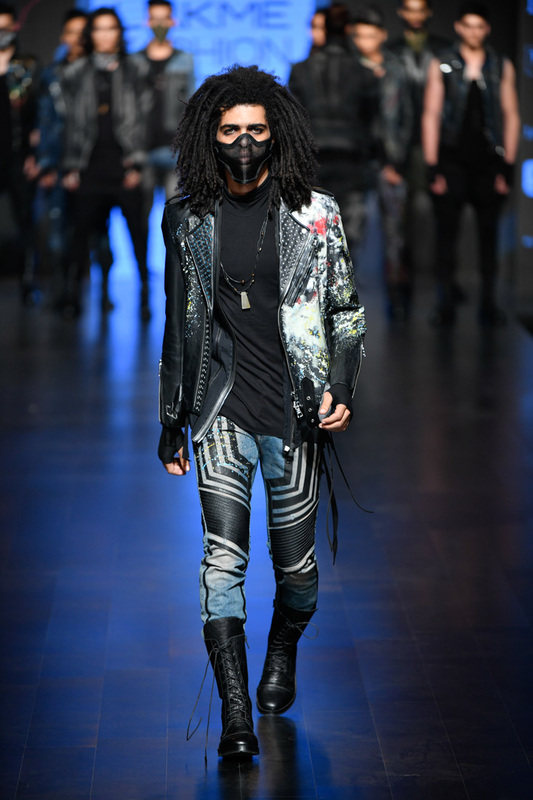 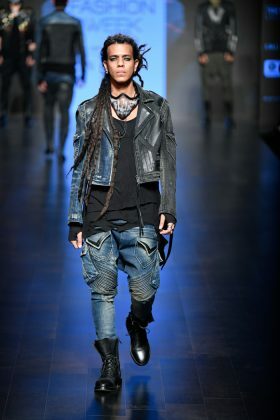 There are attitude, innovative styling and some unconventional construction that holds the audience’s interest. An outfit from Asa Kazingmei’s “Bionic” collection will be the perfect choice for the coming summer. “The Five Petal Story”, was a collection of ready-to-wear separates and coordinates that will thrill Varun’s loyal followers. 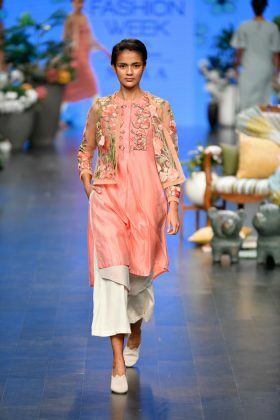 The bouquet of unique prints with creative touches of hand embroidery was beautifully splashed on the ensembles and will surely be part of favourites in the lady’s wardrobe. The couture show themed as “The Art Of Latte” had flowy gowns inspired by the colour palette of coffee. 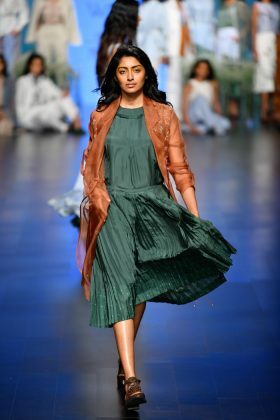 Actress Yami Gautam also walked the ramp for designer duo Gauri and Nainika’s Resort 2019 collection. 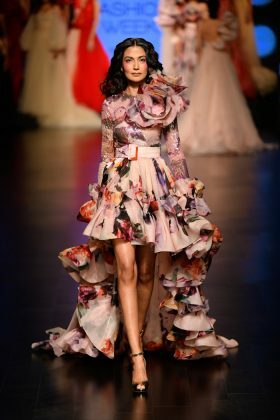 Yami looked ethereal in a pale peach floor-sweeping tulle gown. 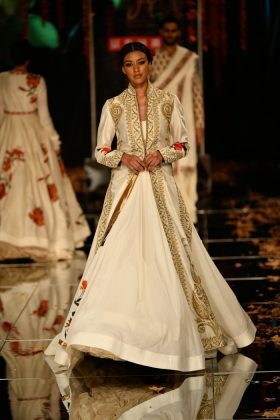 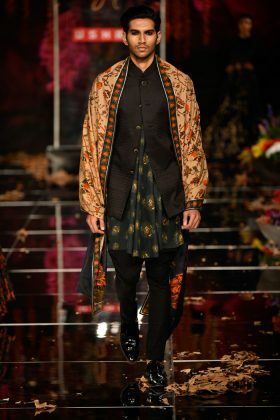 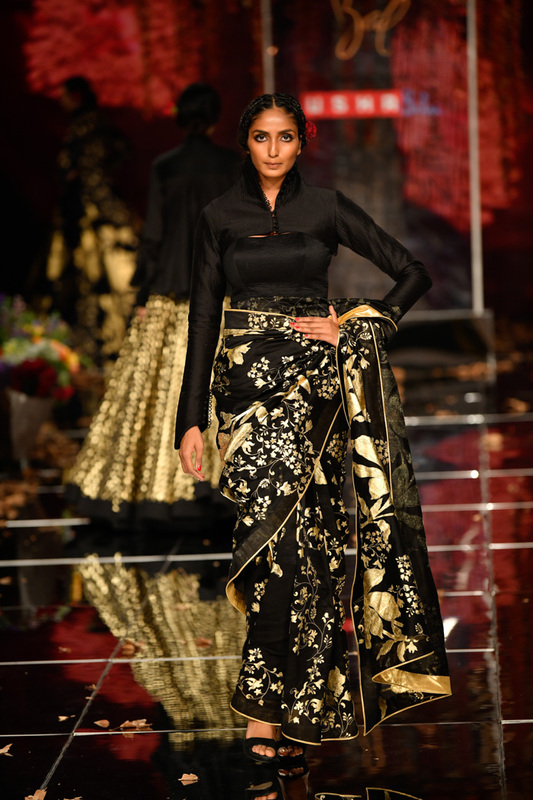 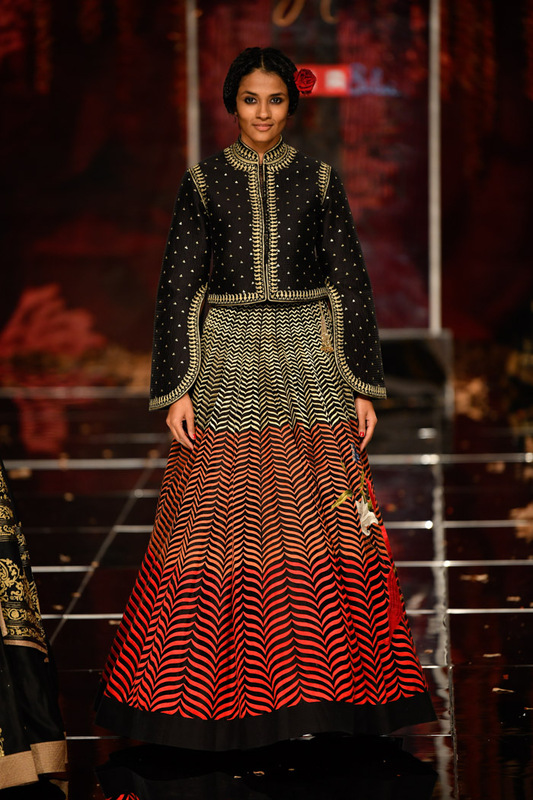 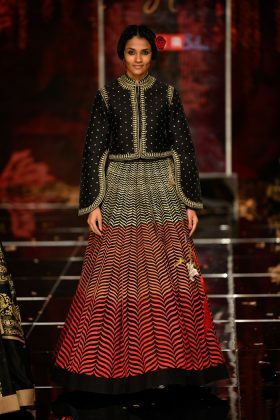 Rohit Bal was presenting his collection titled “Guldastah”. The collection was an ode to the magnificent beauty of flowers of the Valley, has been created by rural women of Usha Silai Kashmir. 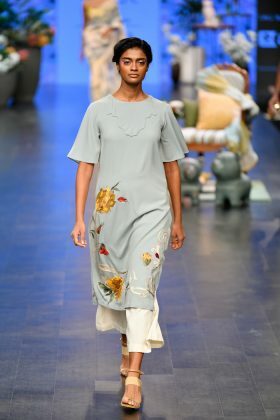 The collection recreates the intoxicating allure of flowers through different techniques including thread embroidery, gold wire, zardozi while giving it an imaginative yet realistic interpretation.